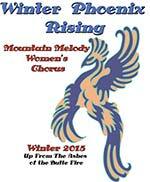 Please click here to buy a Winter Phoenix Rising tee shirt from Mountain Melody. Hurry this offer ends on November 17! We are sure you will enjoy the program, because it is with great joy that we create and share our music with you. For more information, please see our Blog page. 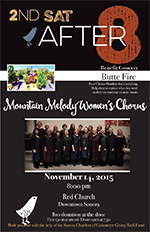 This concert is put on by the Sonora Chamber of Commerce and will be a benefit for our four members who lost homes in the Butte Fire. 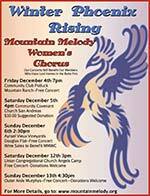 Taste Estate Grown wines and listen to the holiday program by Mountain Melody. 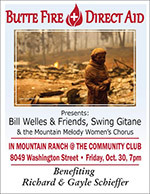 A portion of wine sales will go to benefit the choir. Free performance, donations to the choir gladly accepted.